In today’s NHL rumor rundown the Ottawa Senators are hopeful when it comes to the signing of one of their prospects, Nazem Kadri is about to be suspended and there are questions in Toronto as to whether or not this could be the writing on the wall for him being traded, Jason Zucker wants to stay in Minnesota but knows he might be on the move, and the Florida Panthers might have a lot going on with Joel Quenneville now in town. Did Kadri Seal His Fate With the Maple Leafs? 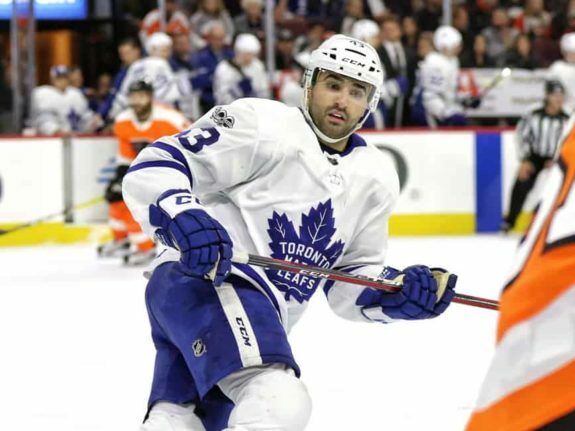 After cross-checking Jake DeBrusk in the face, an in-person hearing has been set for Nazem Kadri so that, if the NHL chooses, they can suspend him for longer than five games. NBC analysts Eddie Olczykand Keith Jones seem to think Kadri could face upwards of ten games in this case. Now on his eighth interaction with the Department of NHL Safety, it is safe to assume that his punishment will go up significantly. A repeat offender, it is expected Kadri will miss the remaining games against the Bruins, could be gone the rest of this postseason and his long-term future in Toronto could be in question. Steve Simmons of the Toronto Sun suggests the Maple Leafs should consider trading Kadri this summer. Calling him too large a liability for a contending team, the Maple Leafs were going to need to do some cap juggling anyways. Kadri may have made the decision a little easier with another poor decision. He’s in the third season of a six-year contract with an annual salary-cap hit of $4.5 million and has a 10-team no-trade list. Despite his suspension history, it’s a good number and there will be some interested teams. John Rodenburg tweeted that Ottawa Senators GM Pierre Dorion said on TSN 1200 that they are hopeful to sign prospect Josh Norris this offseason and having him play in the AHL next season. 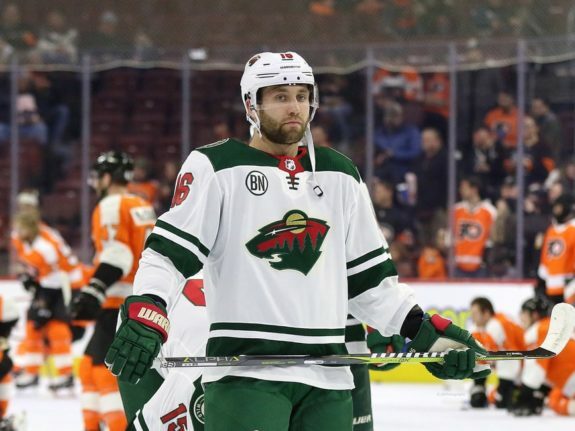 If the Minnesota Wild wanted to make more salary-cap room, one trade candidate is Jason Zucker who was almost moved to the Calgary Flames at this year’s trade deadline. Dane Mizutani reports Zucker understands his future isn’t a given considering former teammates Nino Niederreiter, Mikael Granlund, and Charlie Coyle all got traded. Zucker would like to stay in Minnesota and will work on his game to get better but there is some buzz he’ll be on the move and if a team comes calling with a decent offer, he’ll likely be traded. It wouldn’t shock anyone if general manager Paul Fenton starts to shop Zucker again in advance of the June 21-22 daft. Fenton already has made major personnel changes since replacing Chuck Fletcher last May, and it seems Zucker has been at the epicenter of potential moves. 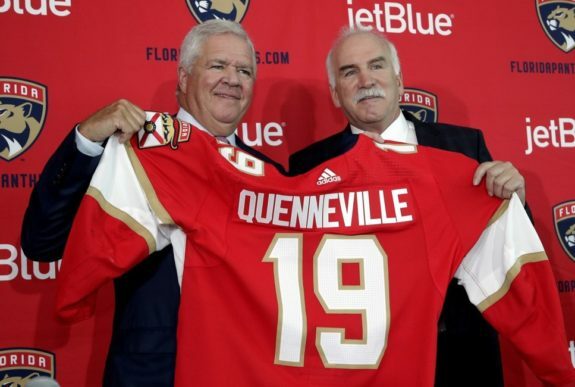 Eric Duhatschek of The Athletic writes that the hiring on Joel Quenneville creates questions as to what’s next in Florida. The team has some cap space available to add big names and some suggest adding Coach Q only adds to the idea that Sergei Bobrovsky or Artemi Panarin might see the Panthers as an option. According to CapFriendly.com, the Panthers have $17.55 million in projected available cap space for the 2019-20 season, … But $17.55 million probably doesn’t get you both Panarin and potentially his Columbus Blue Jackets’ teammate, goalie Sergei Bobrovsky, without some further paring of the payroll. Duhatscheck writes that more scoring might not be the Panther’s biggest needs but one potential free agent that they should absolutely target is pending UFA Tyler Myers, if the Winnipeg Jets cannot find a way to fit him into their payroll.